People who launch phishing scams commonly depend on their targets to be ignorant of how email domain names work. If you typically receive emails from JohnDoe@company.com then the attacker will try sending an email from JohnDoe@differentcompany.com or even JohnDoe@copmany.com. This can be easily avoided in Outlook by simply double clicking on the Sender’s Name in the email. 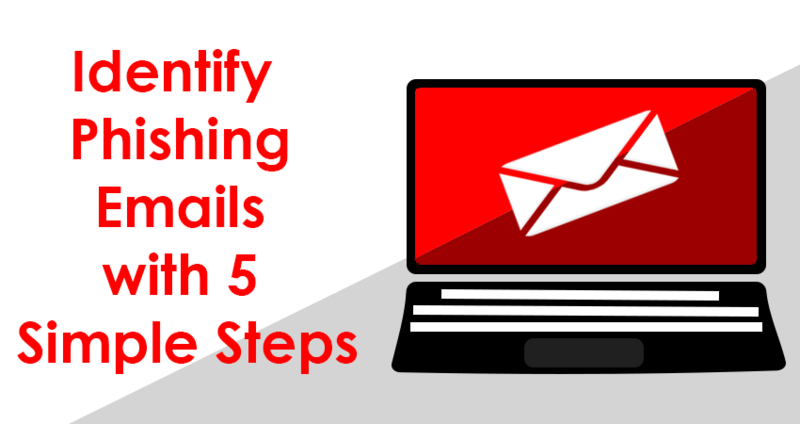 It will bring up the sender’s email address, which can be examined for any abnormalities. Links that take you to fake web pages asking for your information is another popular phishing method. You might have received an email saying that your account on another website is compromised or requires a password reset, & you need to click this link to perform the operation. The link & website may even appear to be legitimate, but it’s actually just a way to obtain your information. To avoid this, look for website URLs that appear to be even slightly different than normal. As an example, that you typically go to Banking.com, but the link takes you to Banking.YourState.com. This link is most likely a phishing attack to gather the necessary information to actually access your data on the real website. It is highly unlikely that corporate communications will include obviously poor grammar. Phishing attacks sometimes include poor grammar. Always be extra cautious when an email is littered with obvious grammatical errors, & make sure to notice changes in the way a sender writes. If John Doe typically writes thoughtful, proofread messages, it should be a giveaway if you receive a grammatical catastrophe of an email from John Doe. Oftentimes, you might see a threat such as, “Urgent action required!” or “Your account will be closed!” These are intimidating tactics & they have become a frequent method of attack. They attempt to take advantage of your anxiety & worry. Before responding to any email or message like this, always consult the institution from which this message was supposedly sent. You can easily find the phone number for support on the company’s webpage. You can expect phishing attacks to continue to evolve & change. Scammers will continue to look for new ways to exploit how people use their email & internet. Always trust your gut & make sure to double check if anything seems suspicious! If you’d like to see how Impact Technology Solutions’ can aid users in your company with cybersecurity education & testing, contact us at 901-507-4747 or email us at help@it-impact.com.